One of Tchaikovsky’s most famous compositions and a popular Christmas ballet presentation, will be performed at the Theatre Royal next week. The Nutcracker, brought to life by Ballet Theatre UK, will be performed in a unique setting with 24 international dancers, from companies around the world. 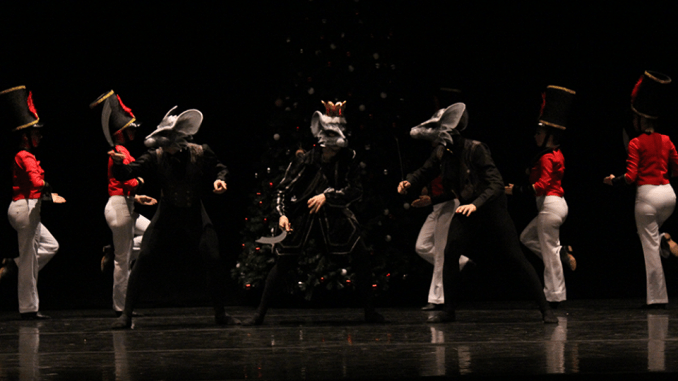 The Nutcracker ballet recounts the adventures of a young girl Clara the night before Christmas. When Clara falls asleep with her Nutcracker, an army of mice attack her toys and the Nutcracker. The show features Tchaikovsky’s most loved and unforgettable musical score combined with magical choreography, exquisite costumes and breathtaking scenery that together creates an atmosphere of fantasy and illusion. The Nutcracker is on stage on November 30 from 7.30pm.